I absolutely love this stool. We have just downsized to an apartment, and it has been such fun reusing furniture and adding this stunning (Bemboka) throw from you. Thanks for arranging the pet bed our dog loves it! The coffee table is my newest purchase and matches perfectly with my previous purchase. It was been wonderful decorating my new house with your company. My new coffee table arrived on Saturday and it's absolutely beautiful. Everything as advertised and more! I will definitely be ordering more from your store. Thank you so much for the beautiful furniture. I am very impressed with the quality. It was such a quick delivery from you. The colour is perfect 😄 Thank you for your wonderful service - I will be highly recommending your business to all I know. Look at my precious princess in her new royal throne! Thank you Lavender Hill Interiors! I continue to order from you time and time again because you not only have beautiful items for sale but your customer service is fantastic and I know the entire process will be easy so I don’t look elsewhere. 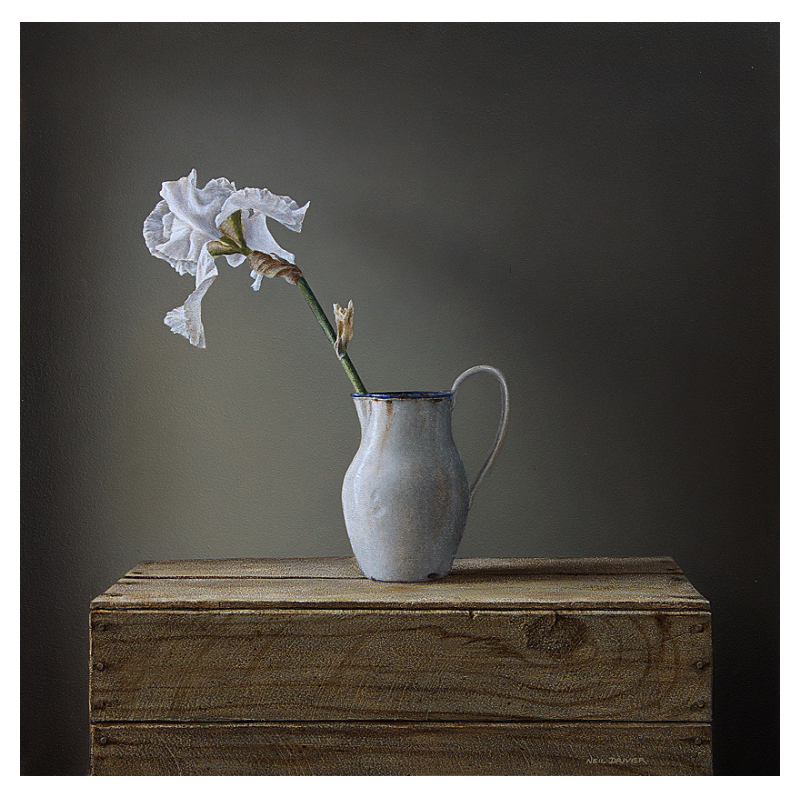 As promised, I have attached some images of your beautiful pieces in their new home at Cheam. Your linen bedhead is now sitting proudly in the bedroom of my guest accommodation. The oak dining table and blue & white ginger jars look superb in my sunroom and work beautiful my French/Hamptons interiors in the main home. I thought I would share my mother’s new bedroom suite with you. She is over the moon and so happy how it all turned out. Just want to say that the armchairs (Navy Linen Wingback Armchairs) are beautiful and they look amazing in our new home! Really happy with the quality and size of the chairs. They looked smaller on the photo on your website so I was very very happy when I saw them; they are actually bigger than I thought. The side table (Oak Cross Leg Side Table) is also very nice and great quality. Thank you and I am sure I will be ordering more stuff in the future. Thanks for the beautiful bedhead that I purchased from you. Getting many positive comments! Thanks again for all your help with this order and arranging delivery. 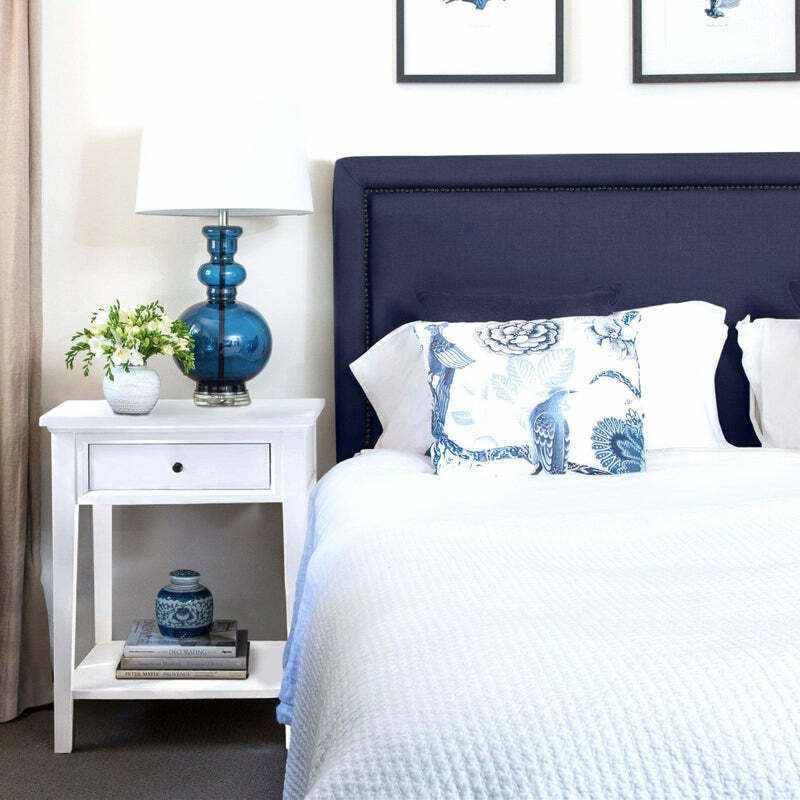 The bedroom furniture is absolutely stunning (love the navy! ), the delivery came right on time and was all carried into our new bedroom (both the delivery men were extremely helpful! ), and was all very carefully packaged, which I really appreciated. Thanks again – look forward to hopefully purchasing more items from Lavender Hill in the future! Thank you so much ... this is the simplest and most convenient delivery of furniture I’ve ever dealt with. Great service provider. It (Navy Linen Buttoned Bedhead) arrived and it’s gorgeous! Thanks for the prompt delivery service. I just wanted to thank you for my bedside tables that I received last week. I’m really happy with the quality and your service is so prompt. They also match perfectly with the bedhead that I purchased from Lavender Hill. If only all online purchases could be soo easy! Just confirming we received our oak console table this afternoon which is lovely. Thank you for all your assistance it is exactly as we hoped. Thank you very much for your excellent service. I simply love everything!!!! Everything is so well made. I must say I was a little nervous as I have never ordered such a large volume of things on-line, but my fears were unwarranted. Also, the delivery guys were very accommodating, as they couldn’t fit their lorry into my drive they had to carry the things some distance. They did so with smiles on their faces. I just wanted to thank you very much for all your help in purchasing my lounges. I love them, they are so comfy and they look lovely in our lounge room. Thank you again. The sideboard arrived as promised and just wanted to let you know that we are thrilled with it. Thank you all for the terrific service. I just want to say thanks again for your amazing customer service. The furniture arrived last night and it is perfect. Just what I’m after. My (2 drawer) white bedside tables arrived this morning. They are in excellent condition and a perfect choice for the modern Hamptons style of my Victorian brick home. Wow it all arrived on the day I needed it to and what a delivery. The suite is absolutely stunning. Couldn’t be happier. It feels and looks so premium and everyone that has visited always comments on all the Lavender Hill pieces in the house. They just scream quality and class. I will definitely be buying more to furnish my other rooms now. Amazing work. Thank you so much. I have received the bedside tables (Oak 2 drawer bedside table) and linen bedhead (Natural linen buttoned bedhead) – love them both. Thank you. PS the packaging was amazing! Received this morning (White bedside tables - 1 drawer) and I love them!! Thank you very much. They are beautiful. I am so thrilled with my deliveries (duck egg blue and natural linen buttoned bedheads, buttoned armchairs, Hamptons dining table, French style dining chairs, oak and white 2 drawer bedside tables, blanket box, lamps and oak chest). Thank you so much I love everything I have ordered it all looks above and beyond my expectations! Thank you Lavender Hill Interiors, I’m so thrilled with my purchase (Malawi Chair, Dynasty Stool & lamps) and the ease of delivery. Being an interstate buyer and purchasing direct from the internet is always a little unnerving but the quality of the products delivered was top notch. I would not hesitate to shop with you again and recommend you to my friends. The greatest Hampton style furniture website we have found when we started to decorate our new home. We have bought so many pieces from here and every piece is beautiful and awesome, they look wonderful either single or combined. We are highly appreciated that the sales can always help us on ideas, give us suggestions and arrange the deliveries very well. All friends who has visited our home like the furnitures and style very much, I highly recommended this lovely shop to them all. Thank you the chairs (Rattan Back Linen Dining Chairs) arrived, all good. Great service. The furniture pieces we received (Oak Square Coffee Table and Oak Console Table) are all perfect, thank you! Thrilled to bits with my new furniture. Been looking for a bedhead for years. Fantastic and I’m a real blue girl. Thank you sooo much for all your help. And cushions are really lovely too! Just to let you know all my packages have arrived. The delivery men arrived when they said they would. They were very pleasant and careful and placed the boxes exactly where I asked them to. All in all a very speedy and simple process. I have unpacked and placed all the furniture I purchased last week and it looks absolutely wonderful. It has given a real lift to my home and made me very happy. You were right - the dining table was easy to assemble but it certainly is a solid piece of furniture. I would like to take this opportunity to thank all at Lavender Hill. Your service is prompt and professional and it has been a pleasure to deal with you all. Would have absolutely no hesitation to recommend. Just to let you know the 2 consoles arrived and they look great. It has been a pleasure dealing with your business. Thank you so much for your wonderful service once again. Just received my cushions- they are gorgeous. Thank you. We received the White Console Table and it is beautiful - we love it! The quality and workmanship are first class. We also really appreciated your excellent customer service and communication. Thanks again. Thank you again for your help. The cushions we bought look amazing on our lounge! Just a quick note to let you know I received the chairs (French Style Linen Buttoned Dining Chairs). I am so glad I found and bought them. They are really lovely and I am very happy with them. Thanks again. Instead of paying stylists we furnished our house with reasonably priced pieces from Lavender Hill and after the move were able to take them to the new house. They suited both properties with all the fabrics and styles clean and fresh and coordinating, and many accessories to dress them up - a one stop shop for anyone who doesn't have time to do this sort of shopping for themselves. All the products feel solid and are beautiful quality and the owners couldn't have been more helpful putting our order together and getting it all delivered to us. Just to let you know that we received the furniture (Oak console table, Oak bedside tables - 2 drawer & Natural linen buttoned armchair) last week and are extremely happy with it. We look forward to receiving the chest of drawers in due course. Excellent customer service and we were kept updated the whole way through the purchase transaction. The chairs (Charcoal French Louis Chairs) arrived safely and are absolutely gorgeous. Thank you for the great communication. Thanks, the lamps (Blue Pineapple Lamps) arrived safely and look great. Many thanks. I finally put my new bedroom together and wanted to thank you for your wonderful pieces that helped make this room feel complete. You were a delight to deal with and I look forward to future purchases. I bought 6 of the oak cross back chairs and absolutely love them! Sturdy and comfortable and they look great with my table. Very happy with my choice and the service at the showroom. Just a quick note to let you know that I’m really happy with all my purchases and the service you provided. Everything is perfect and just how I imagined it. Jemima is the only one allowed to sit on them!! Thank you so much for our amazing purchase!! I love them! Love my bedroom furniture and can't wait til the rest arrives in April. Thank you so much for my beautiful chairs (Duck Egg Blue Linen Buttoned Armchair, Natural Linen Buttoned Armchairs and Natural Linen Scoop Back Dining Chairs) . They arrived this morning and I'm so impressed with the workmanship. They are gorgeous. As beautiful as the photos. Super happy. We LOVE our new bedhead (Duck egg blue linen buttoned) - thank you! I have just received my purchase of an Alpine Lamp and wanted to thank you. Your product is divine and the delivery was so quick. Thank you for your excellent service. I’ll be sure to tell everyone I know about your store. Thanks for the amazing service Lavender Hill! I have ordered some beautiful items and I’m excited to see them in my new home. Every time I have emailed you, you return my emails pretty much the same day and nothing is a trouble. The delivery fee is really reasonable. Very happy with the service. Always extremely professional. Thank you - the shipment (bedhead and valance) has now been received and is beautiful quality. We look forward to working with you again. Thank you so much for the beautiful console. It is a perfect addition to our lounge room. Thanks again for your wonderful product and customer service. Looking forward to putting it (Charcoal Linen Buttoned Bedhead and Duck Egg Blue Linen Cushion) in our spare room. We've got the natural coloured one in our room and we love it. Such great quality and it looks so nice with our country/Hamptons decor. We also have your timber farmhouse style dining table, a couple of your lamps and a round side timber table, which we love as well. No doubt I'll buy more more of your lovely products at some point in the future. As I said, they're such great quality, and the prices are fantastic too. Couldn't be happier. Thanks to Lavender Hill Interiors for our 6 beautiful dining chairs. We live in Perth and usually pay a premium when it comes to furniture compared to the Eastern States but were impressed by the prices of LH and the very reasonable courier costs. The whole process of ordering was super easy with LH happily answering all my questions and sending additional photos. Even the delivery went smoothly with the courier-messaging to let ETA and actually showing up on time. The chairs themselves were beautiful, well made and of a high quality standard - a very happy customer:). I will definitely be purchasing online from this store again. My print (Long Island - Lime Wash Frame) has arrived and I absolutely love it. Thank you. Thank you for the beautiful console, have attached a couple of pics to let you see how it has fitted in with my new dining suite, the styling is still a 'work in progress', just using existing items for now. The delivery was completed without a hitch and we are very happy with our new table (French Farmhouse DIning Table) and chairs (Oak Cross Back Chairs). Thanks for your assistance. The table (Hamptons Dining Table) arrived yesterday and it looks beautiful! Thanks again. Thank you, received order today and love it all. Looking forward to receiving the duck egg blue covers. Also, I really enjoy following your Instagram! Many thanks. A huge thank you for your help and advice in creating our gorgeous guest bedroom. Fantastic, well-made furniture at a reasonable price. I had some issues with delivery and the staff were excellent in resolving them. They kept me updated throughout the process and were super helpful, and I had the same consistent, pleasant experience with everyone I dealt with there. Love my new tables, but it's the customer service that will keep me buying. Thanks, guys! After receiving a huge estimate for ‘styling’ to sell my house, I styled with Lavender Hill Interiors instead. I now have a whole house of stylish, beautiful quality and co-ordinated furniture that I can keep forever instead of just 6 weeks. The service from this business is really great - the two owners are happy to try and help in any way they can, the delivery was stress free and the prices are seriously competitive. Highly recommended, particularly for busy people who don’t have the spare hours needed to find furniture and accessories that look perfect together. Our gorgeous table (French Farmhouse Dining Table) arrived today. I'm so happy I chose this one and your business after scouring many sites and even ordering a similar table, paying for it etc but then I was told there was a two month wait on it with a business similar to yours. Your service has been impeccable and the table is stunning. I love it. Thank you. No doubt I'll be telling anyone that will listen! The French Provincial sofa with antique white frame arrived safely and is beautiful. Thank you! I am really impressed by your excellent service. Thanks - my order (White Hamptons Coffee Table and Console Table) arrived this morning and I am really happy! Beautiful products & excellent customer service... I love your style. The dining table (French Farmhouse Dining Table) arrived yesterday and we are delighted with the result. Thank you for your service and the ease of purchase. The bedhead is absolutely beautiful and I am so happy with it! It really is so beautiful and well made and the colour is perfection. It has really completed my room! I have been telling everyone. My bedside tables arrived yesterday and look fabulous, thank you! Thank you for the fabulous hamptons furniture- I am very excited to receive these lovely pieces - they look fantastic in our home! I love lavender hill furniture and am sure I will be placing another order in the near future. Thank you so much for the wonderful service I received when ordering my new bedside table online. The photos and description were very accurate and the table is absolutely beautiful. The craftsmanship is excellent and it was packed really well for safe and fast transport. I look forward to purchasing again through your website. I'm just so very happy with all our furniture - it's perfect. Just a wee note to say ‘Thank You’ !!! Bedside tables arrived by courier last night and are perfect. Packaged really well, no damages and items are exactly as per images on your web site. Thanks so much again, shopping at LH was such a pleasure and so easy. All I can say is WOW!!! 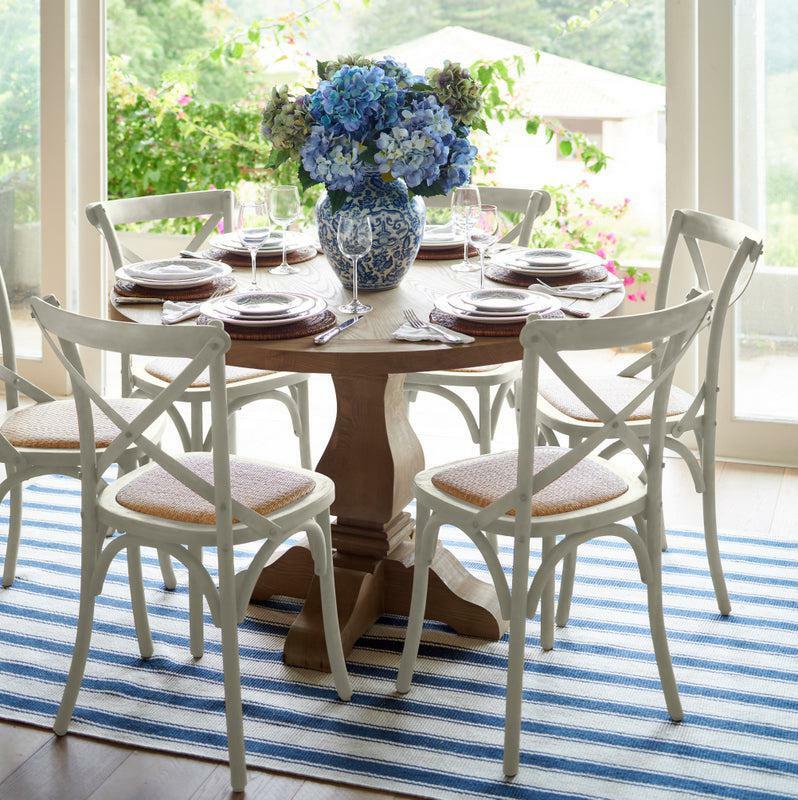 These dining chairs (French Style Linen Buttoned Chairs) and the dining table (Hamptons Dining Table) are stunning. Beautiful quality and very classy. I've seen those exact chairs for almost $400. Thank you again everything we've bought from you has been beautiful quality and super affordable. We ordered two beautiful bedside tables from Lavender Hill Interiors, after falling in love with the product, and reading the online reviews about the top quality product that Lavender Hill Interiors delivers. From the start, communication was great! Delivery was when they said they'd deliver, and seamless (no scratches on our brand new walls!!). I fedback some minor issues with the product, and they rectified within 48 hours - really wonderful customer service, beautiful product and I really couldn't be happier! I thoroughly recommend Lavender Hill Interiors for their beautiful design, great quality and 5 star after sales service. Just to let you know I'm thrilled with my new beautiful blanket box for our room. It looks sensational. Very happy customer and your prompt delivery commendable. It arrived so well packaged. Thank you so much. I have had such a wonderful experience with Lavender Hill whilst purchasing a dining table setting. Thank you very much for all of your help! The setting is absolutely amazing. From selection to delivery, everyone was incredibly helpful, prompt and friendly. I wanted to make some changes to one of the dining packages and nothing was too much trouble from the team. Delivery was on time, reasonably priced and the men delivering were very friendly and conscious that there were children asleep in the house and didn't mind the silly dog! I'm totally inspired by Lavender Hill Interiors. Love their (Facebook) posts and I collect and use lots of their interior set-up tips. Late last year I have purchased an ottoman, which to my surprise arrived within few days. What a amazing service! All my furniture (Hamptons Dining Table, Oak Console Table, Oak Cross Leg Side Tables, Oak Cross Back Chairs, Hamptons Coffee Table & Navy Linen Cushions) was delivered on Saturday and I just wanted to say thank you. All the items were perfect. Also to note is the delivery company is very good. Kept me informed and the two delivery guys were very helpful and polite. I just wanted to let you know that I received my blanket box & desk in perfect order thank you… I commend you on the amount of packaging around the desk no marks at all.. great job. Wow super quick (delivery), very impressed! I'll be snuggling up with my new throw soon. Thanks for the great communication, responsiveness and customer service, it is a real rarity to come across these days. I do appreciate it. I'm loving my new furniture, and would definitely be buying more from lavender Hill in the future!! I recently ordered a bedhead and armchair from you and they are beautiful. The nicest things I have ever purchased for my home and the quality is fabulous. I can't praise your products, seemless ordering and delivery process and customer care enough. Thank you. I've popped in to pick up that chair - it's perfect, thanks so much. The girls were fantastic to deal with and you've been an amazing help too. I'll be back! All of our furniture is just gorgeous thank you!!! We love it!! The desk is stunning!!! Love the quality of all the furniture and super affordable! So in love with everything thank you!! Just wanted to thank you for the beautiful linen bedheads, valances and bedside table. And the gorgeous free doona covers! They all arrived and all look amazing and we are thrilled with them. Arrived today Adelaide time. very happy with purchase . Very safely packed indeed ! Will give some thought to perhaps the matching bed valance over next couple of days . I will be a returning customer Im sure ..... Such speedy delivery. Thank you for sending the Louis Chair - it looks beautiful in my bedroom. I love it. Hello, I Purchased some furniture off you last year for our new home. Our home has been entered into the HIA awards as well as featured in the newspaper. This professional photo was taken recently, and I thought you may like a copy. I absolutely love my furniture I purchased from you that you shipped all the way to Perth. I can't speak highly enough of your business. Thank you to you all for my two sofas (French Provincial Sofas) and two chairs (French Louis Chairs) they are just beautiful. I just wanted to write to let you know I received my dining table and chairs and lamp table yesterday. I am so so happy with all of it, they are just absolutely stunning! Thank you so much for all your help, you’ve been great to deal with. I will definitely be purchasing from your shop in the future! Ive already got my eye on the matching coffee table! Thank you. 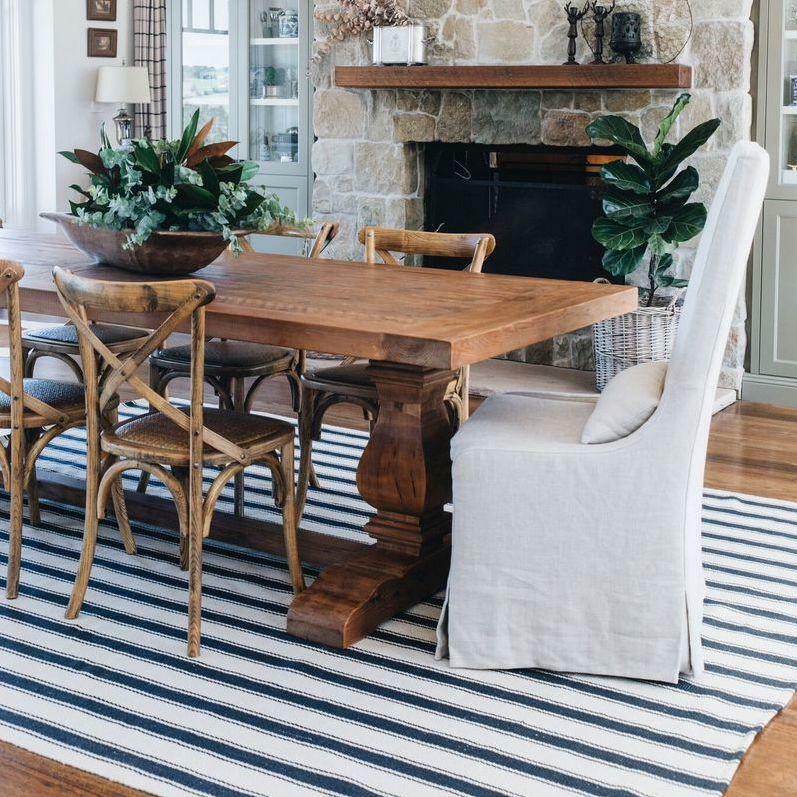 I purchased the beautiful French Farmhouse Dining Table seating for 10 from Lavender Hill Interiors and the quality and the service I received was outstanding. I would highly recommend this company for anyone looking for high quality and beautiful furniture. Thank you team for all your help. I will definitely be back again. Order just received. It is all in perfect condition and looks absolutely beautiful. Thank you for assisting me to turn my house into a home. 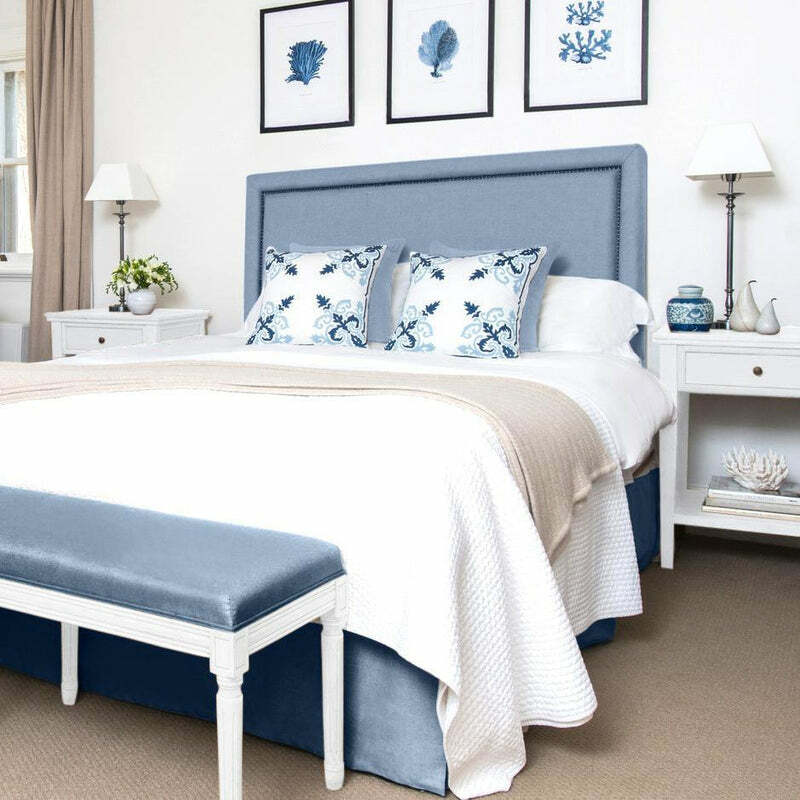 After searching for months in stores for a Hamptons Style Bedroom suite I found the online Lavender Hill website. I was very impressed with the beautiful range of French and Hampton Style furniture. I chose the Bedroom furniture package featuring the Linen button Bedhead and Linen button armchair to match. It all arrived in under 2 weeks and looks amazing! I'm so very happy with everything. Lavender Hill's quality of furniture and price is unbeatable. The staff were so helpful and professional and made everything so easy for me. Thank you very much. I ordered a bed head and bench - we love them, thanks again. Our furniture arrived yesterday and we couldn't be happier. It's all in place and looks wonderful ...... the driver was charming, polite and extremely helpful. Love the Louis Chair in my hall!! I have had so many lovely compliments about the chair! We absolutely love our new furniture, they are brilliant quality and all pieces are exquisite! I want more! To me, the beautiful bed head is the perfect finishing touch for my bedroom. I love it! Thank you. We love the bed head. It was exactly what we were after. Great quality, great colours (wood and fabric) and a lovely finish. After googling french furniture I came across Lavender Hill Interiors and decided to visit their showroom. The owners and staff of this business are so welcoming, professional and eager to help in any way. Their selection of items is excellent and quality it great. I loved the neutral tones and everything I have purchased has worked well in my home. I have been back many times and always welcomed by name. I receive lots of compliments from friends on the furniture and have no hesitation in recommending Lavender Hill to anyone. The prices are by far the most reasonable out there, you will not be disappointed. I just had to mail you and thank you for my queen size Bedhead, cushions and decor pieces which arrived this afternoon. I am thrilled with the look of all the pieces I bought. The photos on your site are great but the real things are just beautiful. Wrapping and packaging was excellent. I will be purchasing from Lavender Hill Interiors again. We purchased our gorgeous bed head to match our king bed only last month. The linen and wood finish are beautiful. Our quilted bed spread is from Province, France (brought it back in my suitcase) and matches the bed head perfectly. We are very impressed with the quality and affordability of your products. I've already spotted a few more products I'd like to have in the future. Thank you for such wonderful service. I really love your furniture and have told so many people about your website! Here is my beautiful Lavender Hill sofa and 2 arm chairs. The perfect match for our Queenslander home. Everyone who walks through my front door comments on how lovely they are. My mother-in-law was so impressed she raced out and bought the same for her house. The staff were extremely knowledgeable, helpful and very friendly. Thank you Lavender Hill Interiors. Excellent quality and service from everybody. We couldn't be more pleased with everything lavender hill have done. Everybody that has visited has been highly complimentary and we have no hesitation in recommending Lavender Hill Interiors to all. I received my Linen Queen bedhead this week. I wanted to contact you and let you know I how thrilled I am. It is the most beautiful bed head I have ever seen, and absolutely exactly what I wanted. Your customer service from start to finish was wonderful and I really appreciate how easy it was to buy intersate from you. What a find... From liking a picture on facebook to my new perfect bedhead... loving it. I purchased this furniture for my spare room as I didn't like going into sleep there for the night when my husband snored. Now I am more than happy to go into what we now call "the snorers room." I purchased a French Louis Chair from you two weeks ago ❤ I'm from Western Australia you sent it by courier I'm very happy with it love it and will be posting a photo of it soon thanks for your great service. Just a very quick email to thank you for buying a Charcoal Linen Buttoned Bedhead and to let you know how much we appreciate it, as we know there are a lot of other choices out there. Just unpacked my order. OMG I love the Bedhead and the chair. Amazing, beautiful, better than I imagined. Can't wait to move into my new home. Thank you - the furniture is amazing. Just a little note to say thank you so much for organising delivery of my purchases. I absolutely love the sofa and ottoman!!! The side tables are also beautiful. I look forward to buying many more gorgeous items from you. Congratulations on such a wonderful store! I have just received two of your bedheads and just wanted to let you know that they are absolutely beautiful. Thanks so much for the great service too. I love your products and have bought 3 bedheads and 2 skirts in the last 5 months. Chilli giving our Lavender Hill bead head his stamp of approval!! We have now bought a number of items and the customer service is exceptional! I just wanted to send a quick note to say thank you for the prompt delivery of my (Natural Linen) ottoman. I'm absolutely thrilled with the quality and aesthetics of this beautiful piece of furniture. I was also pleased to see the piece packaged securely, with double packaging. I look forward to making future purchases with confidence. I have had the pleasure of purchasing products from Lavender Hill Interiors over the past 6 months. All products, furniture and soft furnishings, are of an excellent quality, true to description on the site; serviceable and comfortable. The service is excellent. From initial enquiries, through to invoicing and the delivery of the stock; I have had a wonderful experience and will continue to use Lavender Hill for clients as well as for my own projects. For reliable service that is prompt and efficient, I wouldn't go past Lavender Hill. Thanks team. Just to let you know the table (French Farmhouse Dining Table) and chairs (Oak Cross Back Chairs) arrived and they are perfect. I was very impressed how patient you were with me, how quickly you responded, the delivery and the quality. A big thankyou for my beautiful furniture. The experience of shopping with you has been a pleasure. The furniture is good quality, arrived safely, very well packed and is now looking fabulous throughout my home. I will be back soon and will certainly recommend you to my friends. Thanks so much for the quick turnaround on the valance; I have received it and it looks wonderful ... great quality too. It has been a pleasure doing business with you (I'll be back). I just had to mail and thank you for the queen size bedhead, cushions and decor pieces which arrived this afternoon. I am thrilled with the look of all the pieces I bought. The photos on your site are great but the real things are just beautiful. Wrapping and packaging was excellent. I will be purchasing from Lavender Hill Interiors again. THANK YOU!!! I just received my order all the way over in Perth .... OMG it is just beautiful!!! My bedroom and guest suite are going to look amazing!! Thank you for a reliable and professional service and getting all my furniture across to WA. I am genuinely thrilled with the service you girls have provided. I thought it was going to be a bit of a nightmare getting such bulky furniture shipped to Perth, but as a customer it was a breeze. The communication was personalised, with follow-up phone calls to my enquiries, which is a rare thing now days. Well done on great customer service!!! I will definitely not hesitate in recommending you to my family and friends. My order for 2 white cross legged bed/sofa tables finally arrived in Portsea...1 1/2 hours from Melbourne , at 7.00pm, delivered by a charming helpful courier, who still had a van full of deliveries to make that night! I am sending this email to let you know that they are perfect, and after waiting 2 years to find them ( I am a perfectionist ! ) I couldn't be happier. My experience dealing with Lavender Hill Interiors has been excellent. I am happy to recommend you to other prospective clients. We have finally unpacked the boxes and the furniture looks amazing! Many thanks. I will definitely recommend your store. I recently purchased a couple of Louis chairs and cushions from you to prepare for the sale of our home. If fact, I have bought a number of things from you over the past few years and just wanted to say a big thank you for the great service and beautiful, high quality products. I lived in Paris for 10 years before moving to Brisbane so it is really lovely to be able to find French style pieces here in Australia. Thanks again. Received my charcoal buttoned bedhead today and bedside tables. They are absolutely beautiful thank you. Very happy customer. Thank you to you and your team for such great service. We are really pleased with the dining suite and console. Lavender Hill Interiors have high quality products and excellent service. We furnished our new home with some French Provincial pieces and are delighted with them. Well done LHI! Everything was well received and we are very happy with the couch (French Provincial Sofa), chairs (Louis Chairs) and ottoman (Linen Ottoman). We are getting lots of great comments and will definitely refer them to you. We'll be in touch soon and thanks again for your great service. I received the bar stools and I love them! Thank you so much for your patience, great service and great stools, without seeing them. I'm so impressed. Just wanted to say thank you. The table (French Farmhouse DIning Table) and chairs (Duck Egg Blue Dining Chairs) are gorgeous and are so comfortable. We are so happy with them and have had lots of compliments. Have just placed an order for a bedhead! Absolutely love our Farmhouse table and cross back chairs. They look amazing in my kitchen. Thank you so much Lavender Hill for all your help. Once again I wanted to thank you! The pictures on your website are beautiful however they don't do your products any justice. The French farmhouse dining table and linen deep buttoned dining chairs look amazing, the quality is outstanding and has by far exceeded my expectations. Thank you also for the wonderful customer service, your advice and support made my first shopping experience with Lavender Hill Interiors an absolute pleasure. Will definitely be purchasing many more of your fabulous products. I just wanted to thank you so very much! We have just received our bedhead - it is beautiful and absolutely exceeded our expectations. The fact that it arrived only a couple of days after we ordered has astonished us. Thank you again. It has made our day!! Received the bedhead today (Linen and Oak Buttoned Camelback) and it is stunning! Such beautiful quality. The wood is solid and elegant ... and the linen bedhead is so beautifully made ... prompted me to order the matching bedside tables tonight! We received the chairs (Linen Bar Stools) today! So impressed with the quality, they are perfect! I am ready to make another purchase! (Don't really need anything but just love your products!). We have told our family and friends about you guys! The slip covers are perfect! Just the right look for our dining table. Love the quality of them too. The blanket box is absolutely fantastic! I was a little nervous purchasing sight unseen but it's far superior than anything in the shops. I'm fussy and stoked with it! What a great store ....fantastic people to deal with! The chairs arrived today and they are absolutely lovely! I'm never going to love another dining table like I love this one!! My husband and son love it too! Thanks again for all your help! Thank you! I am so happy with my bedroom furniture, it feels and looks beautiful. I will be sure to recommend your products to my friends and no doubt you will see me again! The bedhead arrived an hour or so ago. I just love it - perfect for the room. Now to finish the room ..... Thank you so much. I would just like to say a huge thank you for delivery of the bed head and valance! They are both such beautiful quality. I am so glad I ordered these from your company. I will be telling all of my friends about you. I wouldn't hesitate to purchase more furniture from you! I have my eye on your beautiful blanket box which I will order in the new year! One very happy customer!!! Just to let you know I received the two Butlers Tables and they are fabulous. Thank you so much for the prompt service. So glad I found your website. You have fabulous stuff and all reasonably priced. The blanket box is beautiful. I look forward to further business in the future. I love love my gorgeous new bedhead, the photo didn't even do it justice. Fast delivery too, much appreciated. My beautiful blue jug arrived this morning. Very quick service. Thank you so much. Item [linen valance] received today and it's not only sumptuous, but also perfect. Thank you! We have just received our new furniture from Lavender Hill Interiors for our new home and are absolutely thrilled. The quality of the furniture is built to such a high standard. Our son's armchair is so lovely we call it his "heirloom" chair; a piece that he will hand down to his children one day. Thank you Lavender Hill! Thank you so much for my ottoman - it's amazing! Thank you so much! I received my bed head today. It is perfect. I keep looking at it thinking how gorgeous my bed looks!!! Just a quick email to let you know my goodies arrived safely and they are exactly what I wanted. Colour and quality great and look terrific. I am very happy with all my Lavender Hill purchases and your service and communication is excellent. So thank you very much for your help. I was so very pleased to find your company - there is such a need for classic children's furniture with beautiful natural materials! I received the bedheads today ... I am very pleased with them - they just look stunning in my two guest rooms. ....the taupe chairs with the white stripes arrived in perfect condition and look fantastic with my French style dining table. I put the natural linen covers on the chairs and I am thrilled with how they look - comfortable and inviting but with a sense of elegance. I have received many compliments from friends on the chairs and would like to thank you so much for providing them. I was very impressed with the service from start to finish including the email correspondence, sending the material sample promptly, speed of delivery and quality of product. Thank you again Lavender Hill Interiors! We recently received our order of a King Size linen upholstered headboard from Lavender Hill. Just wanted to let you know that we are really pleased with the quality and appearnce of the headboard. Oh my ... our bedhead just arrived and it's fantastic!! I couldn't wait for hubby to get home ... I am so pleased I am jumping out of my skin! Thank you so much for your help with us acquiring our perfect bed. I couldn't be happier. I also cannot believe how quickly it arrived ... I came home from shopping to a Christmas delight!. Thank you again. I will be telling anyone who will listen what a great online store you have. Words can't express how much fun I have had working with Lavender Hill Interiors to decorate my newly renovated home. We started with just the lounge but quickly moved to also redecorating the family dining/living room and now my 11 year old daughter wants "Lavender Hill" to decorate her room. They have been sensitive to a budget and not made me feel uncomfortable with setting limits. They have understood the style I am looking for and made what was a daunting process into one that is fun and most importantly satisfying and feel the home now looks fantastic. Thank you Lavender Hill Interiors. Thank you so much for doing all the hard work, tracking down gorgeous things for around our home. Your selections are just fabulous, and the quality of everything we've bought is just superb. I really love the beautiful Bemboka angora throw that we bought a few weeks ago. No doubt we'll be back on line again soon! The sofas arrived safe and sound and look fantastic .... we are really pleased with them! Thank you. 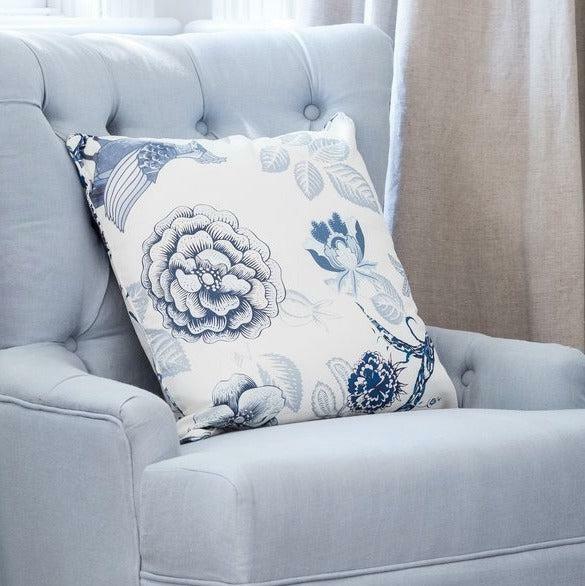 I discovered Lavender Hill Interiors from a friend - what a gorgeous website full of divine French style chairs, tables, couches and beds as well as lots of homewares. And I couldn't believe the prices! I bought a beautiful trestle table made from Almond Oak. It arrived within the week and I am so happy with it. I purchased two of the beautfiul Bemboka throws from Lavender Hill Interiors - we have to fight over who uses them in Winter - they are soft and luxurious - we love them.